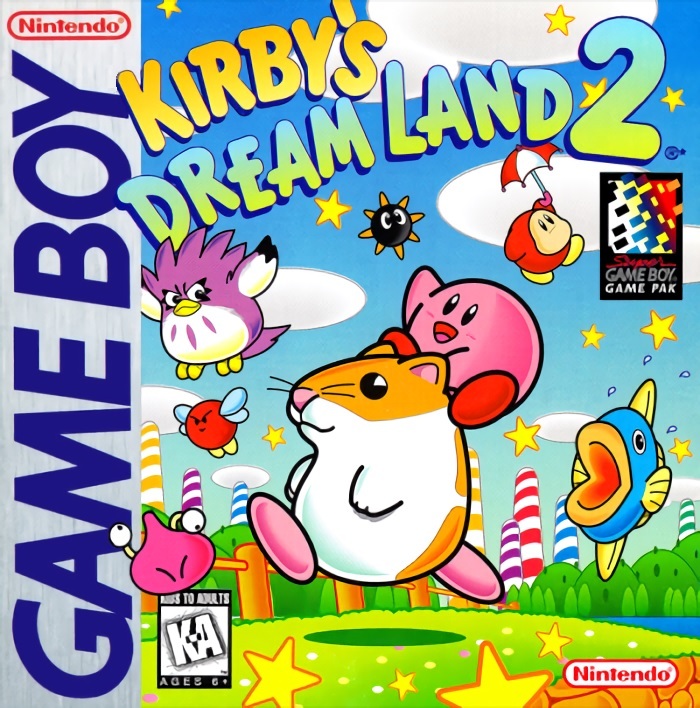 It had been two years since the last Kirby game released when Kirby’s Dream Land 2 debuted for the Game Boy. Kirby’s Adventure had been a tremendous success, with gameplay that reached fantastic new heights, a living and breathing reimagining of Dream Land, and, of course, introducing Kirby’s copy ability that allows for near endless possibilities. Players, myself included, were left wanting more and were curious to see what new surprises were in store for our now transformable hero. What we received didn’t disappoint, as we were once again treated to a combination of new innovation along with gameplay that draws from the past to provide a quality experience that stands on its own. The range the copy ability allowed was the defining characteristic of Kirby’s Adventure; here it’s Kirby’s new friends and how they impact the action. 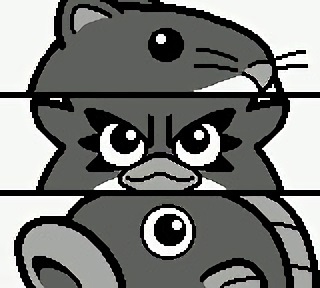 Rick the hamster, Coo the owl, and Kine the fish get in on the action! As with the other Kirby games up to this point, the majority of the story is contained in the instruction manual. This time, things are a bit more serious as we are first introduced to one of the most intimidating villains in Kirby; Dark Matter. Dark Matter has stolen the rainbows that bridge the islands of Dream Land. He has also possessed King DeDeDe and plans to turn Dream Land into a world of darkness. It’s up to Kirby and his friends to defeat the island bosses, restore Dream Land and take down Dark Matter. What I truly love about this story is that what appears to be a fairly straightforward plot actually holds many layers of depth, which enhances the tone. While it may not seem like it at first, corruption and manipulation are actually major pieces of the plot. DeDeDe is a victim, as he is controlled by Dark Matter for a purpose other than his own. Helpless, he is forced to order his own minions and bosses who are clueless as to Dark Matter’s manipulations. They are all simply pawns in a puppet master’s scheme. It’s a plot twist most players may miss their first few playthroughs, but it adds so much substance to the story. Dream Land and its people are the obvious victims, but what Kirby and the players don’t initially realize is that they are fighting against those that need rescuing themselves. Dark Matter is such an intimidating enemy that he returns in later games. 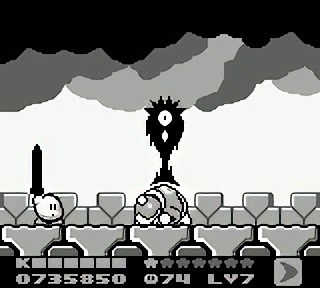 The gameplay of Kirby’s Dream Land 2 is noteworthy because it adds unexpected variety to the copy ability, plus it also introduces the concept of having friends and allies to fight alongside Kirby. In later installments, especially in Kirby’s Dream Land 3, this mechanic of partnering up to transform Kirby’s capabilities is taken to extremes, mainly because of how well it’s executed here. Simply put, the partner system makes the game more enjoyable; it pleasantly varies combat and allows for imaginative puzzle solving, while never inhibiting the experience. It’s never a chore or bother to pair up with a friend and it’s always interesting to see how different powers work with different pairs. For example, using the spark ability with Kirby alone forces him to be stationary and has limited range. Paired with Rick, the spark becomes reminiscent of the beam power, giving attacks more range. With Kine, Kirby transforms into a light bulb popping out of the fish’s mouth. You can move around while using this ability, damaging any enemy you come into contact with, but you can also launch these bulbs like a projectile. Finally, this combination can be used to light dark rooms and reveal hidden doors. The uses for both combat and puzzles is very clever and discovering each combination, along with any secondary functions, adds to the experience. 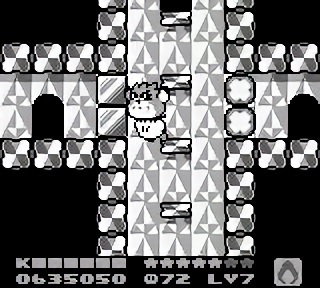 In regards to puzzles, the HAL devs improved upon an element first seen in Kirby’s Adventure, in that you sometimes needed a specific power to break through certain blocks or barriers. While it wasn’t always obvious as to which power was needed in the NES installment, here the devs do an appreciable job by visually distinguishing and coding block to power. Ice blocks are broken with flame powers. Blocks with a single horizontal slash are removed with the cutter. Sometimes having the right power isn’t enough, because a block is out of range or in a location where that power is rendered useless. For example, ice blocks underwater can only be destroyed by using the flame ability with Kine. Another is using spark with Rick to increase range and have that sweeping effect of the attack to hit out-of-reach blocks. This method is implemented well and adds to the appeal of experimenting and discovering all the different combinations. The puzzles themselves serve a far more important role, as they are mostly used to block or hide the Rainbow Drops, a collectable necessary to earn the game’s true end. So in order for players to properly complete the game, they need to be aware of these visual cues, as well as the powers and friends available around them because they may end up coming together in a peculiar way to solve a puzzle and reveal a secret. My only real complaint with gameplay is the limited number of powers available. In Kirby’s Adventure, there were 25 different powers to choose from, which allowed for multiple styles of play. Here, however, there are only seven. Although each power varies depending on whether Kirby is paired with a friend, not every combination is noteworthy. For example, when Kirby is alone and using the parasol, he can slow his descent, swing it into enemies, and block falling projectiles. However, when paired with Kine, the parasol pokes out of Kine’s mouth to attack, limiting any alternate uses. While some of the combinations are quite remarkable, such as when Kirby uses the stone ability with Rick to become a controllable, rolling boulder, others like the needle or ice combinations do not improve much regardless of whether Kirby is paired up or not. There was great opportunity to further alter the effects of these powers, but several combinations fall flat and are forgettable. Fortunately, the advantages of simply pairing up with a friend do a nice job of hiding these few missteps and you can always let go of one power and substitute another. Aesthetically, Kirby’s Dream Land 2 is a significant improvement over the original, as is typical of sequels on the same system. The hardware was exploited more thoroughly and the result is a grander, more engaging Dream Land. 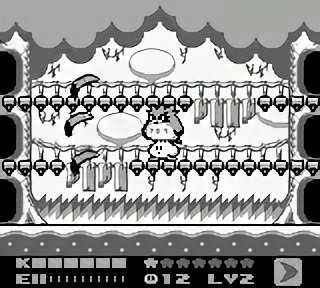 Although not to the degree of the NES and SNES offerings, Kirby’s Dream Land 2 has a more visually dynamic world than the original, with distinct levels that show the same range of variety seen previously. From fields and forests, to oceans and mountains, the variety that made Dream Land a lively entity in the past makes a welcomed return here. Also, as I had mentioned, I like the way the puzzles are implemented using the unique block sprites. It’s a noteworthy method to differentiate visual elements without a color palette. The audio is also improved upon the original, with more tracks for the additional levels. There are also custom tracks when paired with each friend. At first, this is a nice touch, however, hearing those three tracks over and over again does start to become repetitive. I would rather have had additional tracks for each level and not change the music when paired with a friend, which is a decision the devs eventually make for the SNES installment. Granted, there is a limit to what can be accomplished on the Game Boy and overall it does not disappoint. Kirby’s Dream Land 2 is a complete improvement over the original and does an excellent job of transitioning the copy ability to the Game Boy. It also introduces the partner system to further transform gameplay into its own, unique style. Overall, the game stands on its own and is a prominent addition to the Kirby series.